Years before there were articles about the New Apostolic Reformation on Talk2Action, numerous conservative Christians wrote about the movement and the growth of Dominionism in great detail. In 2003, when I was beginning to learn about the movement, I followed some of these websites in order to understand their perspective on the movement and I continue to read them today. I have not used many for references in my work in the past, because I am approaching the NAR as a threat to separation of church and state and religious pluralism and not as a critic of the validity of their theology. I am not recommending or providing verification for the material in the links that follow. However, this is small sample of a body of media that negates the absurd claims that only liberal or secular writers are concerned about Dominionism, the NAR, and their unique brand of spiritual warfare and apostolic government. As I stated in a previous article, C. Peter Wagner has attacked the secular press for negative coverage of the movement, but many of his recent responses were clearly replies to the critiques of other conservative Christians. Following are some of these critiques. Again, I am not recommending, agreeing with, or verifying the material in the following links. It is not the mission of Talk2action.org to debate theology or to claim superiority of a specific belief system, as seen in some of the following links. Many of these are "discernment" or "apologetics" websites and some view beliefs not in line with their own as heretical. Some are fundamentalists or evangelicals who reject the Charismatic belief altogether, but others are from inside the Charismatic/Pentecostal sector and at least one is Charismatic Catholic. Some of these links are from organizations with significant followings and some are from individual writers. There are factual errors in some of these posts linked below. Some are written from a worldview in which the NAR is feared as the apostate church of the end times and even lumped together with "liberal" churches or as a plot of the Catholic church. However, the writers in the links below have monitored the NAR for years and document a long history of concern about the movement from a number of different conservative Christian perspectives. The posts on the NAR at www.deceptioninthechurch.com go back at least as far as 1998. The video at right is produced by Sandy Simpson and the Apologetics Coordination Team. Read an overview at this website. 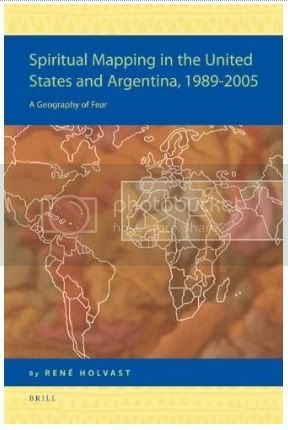 Based on Holvast's dissertation for the University of Utrecht, this is a "comprehensive historical-descriptive approach of both the movement and the concept, with special attention for theological and anthropological concepts." Lindsey is a Dispensationalist and graduate of Dallas Theological Seminary. 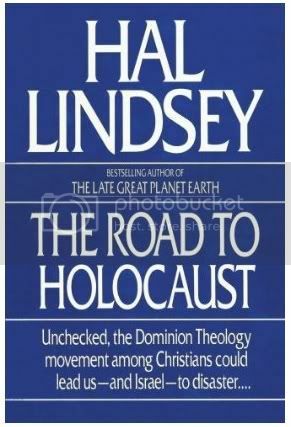 He wrote in 1989 about the growth of Dominionism, including the introduction of Reconstructionism into Charismatic ministries by way of Gary North and David Chilton. This ministry has numerous posts on the NAR, including this on on the Manifest Sons of God theology found in Charismatic Dominionism. Numerous posts including this one on Manifest Sons of God theology. Herescope has posts on Manifest Sons of God theology and numerous other issues concerning the NAR. 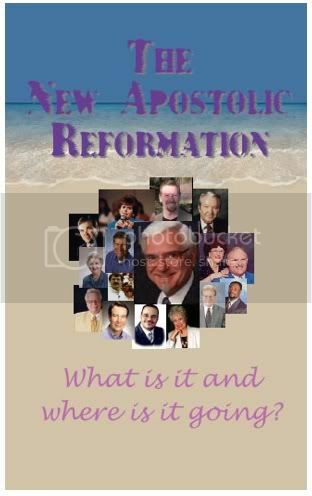 Herescope 2002 post on "Geographical Heresies of the New Apostolic Reformation"
Orrel Steinkamp's work is posted on numerous websites. This website, View From the Bunker begins with this quote, "To Dominionists, Jesus' return to Earth is on hold, waiting for us to conquer it first." Howse has regularly featured post on the NAR over the last few months. Exposing Joel's Army Part One: One news headline recently declared, "Rick Perry bases call for national salvation on `Joel's army' Cult". The New Apostolic Reformation believes in the "Manifested Sons of God" also known as "Joel's Army" or "supermen" a "Superman race" a "new breed". This is the belief that members of the NAR will evolve into literally being Christ on earth, sinless, immortal, and able to raise the dead, Judge the church and nations and form a new government. This is nothing less than New Age, pagan spirituality. The NAR takes Joel 2 out of context to build their "Joel's Army" Gnosticism and yet Governor Perry of Texas is working with NAR members for his August 6, 2011 prayer rally and he is using Joel 2 as the justification for this rally. Why are Christian and pro-family leaders entering into a spiritual enterprise with false teachers that were rejected by the Assemblies of God 40 years ago for its cultish beliefs? Does Perry think his uniting with such paganism will make him more appealing to Christian voters? Worldview Weekend post on what happened when they spoke to "New Religious Right" leaders about their work with the NAR. Ernie Gruen, a charismatic pastor in Kansas City, compiled a 233-page report on the Kansas City Prophets, which included Mike Bickle, Paul Cain, Bob Jones, and others. The title of the report is "Documentation of the Aberrant Practices and Teachings of Kansas City Fellowship" and it initiated a huge controversy in 1990. This is the accompanying January 20, 1990 audio of Gruen titled, "Do We Keep Smiling and Say Nothing?" Slaughter of the Sheep blog on "The Dominon Mandate"
"The Superman Theology of the International Christian Embassy's Feast of Tabernacles"
"Dominion Theology: The Stench and Foul Smell of Joel's Army"
This is a very short list of possible critical sources. Readers feel free to list more in the comments.